with the National Organization of Parents of Blind Children. And the Winner Is . . .? Complete Future Reflections Audio File (Zipped MP3 Version) Coming Soon! Complete DAISY Audio File (Zipped MP3 Version) Coming Soon! Are you the parent of a blind or visually impaired child? Don’t know where to turn? Founded in 1983, the National Organization of Parents of Blind Children (NOPBC) is a membership organization of parents, educators, and friends of blind children reaching out to give each other vital support, encouragement, and information. We have thousands of members in all fifty states plus Washington, DC, and Puerto Rico. The NOPBC offers hope, encouragement, information, and resources for parents of blind or visually impaired children. NOPBC provides emotional support and a network of other families dealing with the same challenges you are facing. We also provide information, training, and resources to empower you to take an active role in guiding your child’s development and education. We can provide information on your child’s rights and on the laws and legislative issues that will enable you and your child to become strong and effective advocates. Have you ever wondered what your blind or visually impaired child will be capable of when he or she grows up? The answer to that question is that blindness/visual impairment does not have to stop your child from doing anything he or she wants to do. We can connect you with other families and blind adults who can serve as positive mentors and role models. They can teach you the attitudes and techniques that will enable your child to become independent and to succeed in life. What is different about the NOPBC? Our status as a division of the National Federation of the Blind (NFB), the largest and most influential organization of blind people in the world, provides many benefits. 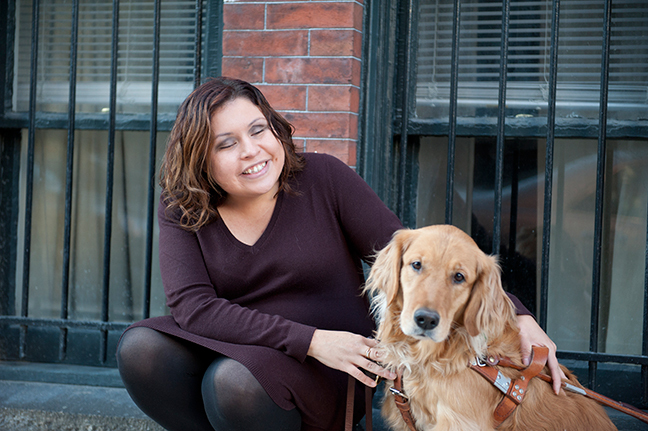 Our members are well informed about the societal, legislative, and technological issues that affect blind people. We also enjoy the resources, support, and expertise of fifty thousand blind people who can serve as mentors and role models for us and our children. Finally, as our children grow up, they have the Federation to belong to. No other organization for parents of blind/visually impaired children offers more programs, activities, and training to families, children, and youth. One of our most exciting activities is our annual conference. Every year since it was established, the NOPBC has conducted an annual conference for parents and teachers of blind children as part of the national convention of the NFB. The program has grown to include five exciting days of workshops, training sessions, activities for all family members, including sighted siblings, and countless opportunities to meet blind adults and other families and children from around the country. What is the mission of the NOPBC? create a climate of opportunity for blind children in home and society. provide information and support to parents of blind children. facilitate the sharing of experience and concerns among parents of blind children. develop and expand resources available to parents and their children. help parents of blind children gain understanding and perspective through partnership and contact with blind adults. function as an integral part of the National Federation of the Blind in its ongoing effort to achieve equality and opportunity for all blind persons. Most states have an NOPBC affiliate chapter. You can find your state chapter at <http://www.nopbc.org>. If your state does not have a chapter and you would like to start one, please contact us. We may be able to offer training and other assistance to start a state NOPBC chapter. What are the programs, activities, publications, and resources of the NOPBC?